For its Hockey East season opener, the No. 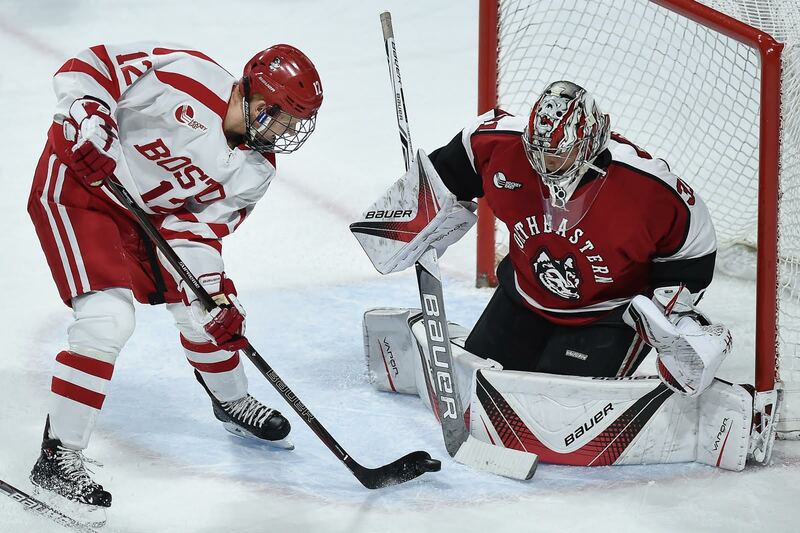 8 Boston University men’s hockey team earned a “hard-fought” win, according to BU head coach David Quinn, to begin conference play with a 1-0 record. 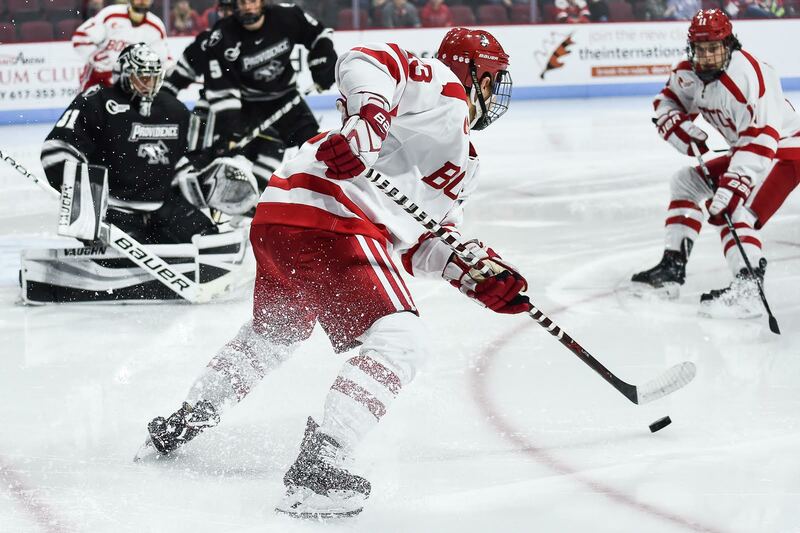 The Terriers (2-1, 1-0 Hockey East) didn’t necessarily start the game at UConn’s pace (2-2, 0-1 Hockey East), but as time wore on, they adjusted their game to dominate the third period and emerge on top. Here’s what we thought looked good and bad in the victory. Tied for the team lead in points with four is freshman winger Ryan Cloonan. 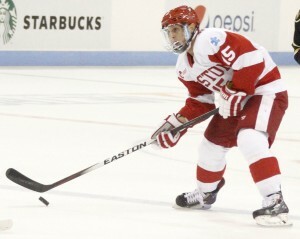 In his first game of the season at Union College, Cloonan was in the lineup as the fourth line right wing. He scored the second BU goal of the game, assisted by senior center Mike Moran and junior defenseman Doyle Somerby, and gave the Terriers a temporary 2-1 lead. 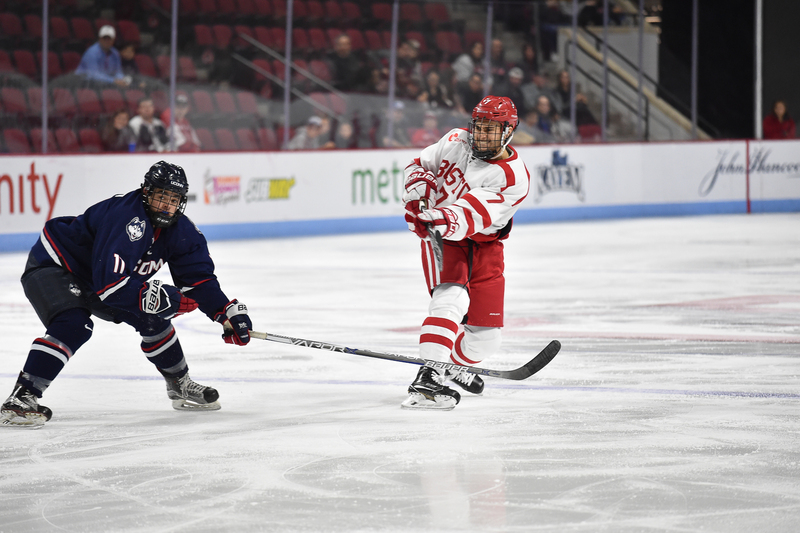 The next week for BU’s game vs. the University of Wisconsin, he was slotted in as the second line left wing to freshman center Jakob Forsbacka Karlsson and tallied a pair of assists. Against UConn, he notched another marker to extend his point streak. Quinn said Cloonan’s experience is a valuable asset he brings to the team that the other freshmen might not have. While BU’s rookie class is largely comprised of guys 17 or 18 years old, Cloonan is 20. And he’s improving with each week as well. 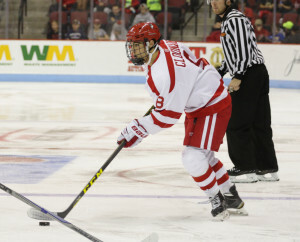 As the third period began, Cloonan switched places with freshman forward Jordan Greenway and took the left wing’s place on the first line. Quinn said he thought Cloonan’s quickness would give senior assistant captain Danny O’Regan and senior forward Ahti Oksanen more speed to work with on the top line. The Terriers managed to simplify their game and really settle into a groove during the third period, netting three goals in the frame. For more on that, read Sarah’s sider. During its first two games, BU’s power play looked good. The Terriers were moving the puck well and creating chances for themselves, but they had only converted once out of nine opportunities they had with the man advantage. 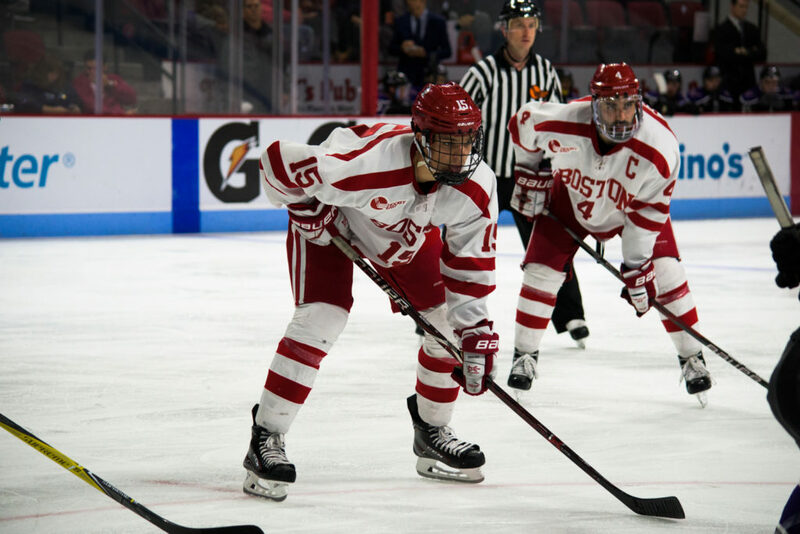 On Saturday, though, the scarlet and white were able to capitalize on two of their five power plays as they maintained heavy offensive zone pressure. In their first attempt, though the Terriers didn’t score, they spent so much time in UConn’s zone that the second unit never got a chance to hit the ice. On a delayed penalty, even, BU was able to keep possession of the puck for 47 seconds before the Huskies touched for the whistle. “We spent an awful lot of time in the offensive zone on the power play,” Quinn said. “We had chances and chances. Of the 33 shots BU took on Saturday, 10 came on the man advantage, and seven of their 15 third period shots were of the power play variety. The two successful conversions resulted in Forsbacka Karlsson’s first collegiate marker and sophomore defenseman Brandon Fortunato’s second of the year. On the other side of special teams, the penalty kill was perfect as BU went to the box four times during the contest. The Terriers have allowed just one goal while shorthanded so far this season. It was the first penalty they took of the year against Union on Oct. 10. Since then, they have not conceded a power-play goal the last 12 times they’ve had someone in the box. Though BU managed a win, Quinn said he thought the team’s puck management was “incredibly sloppy” and that his squad held onto the puck way too long. He said that, along with the way the defense played, contributed to the Terriers’ problems on the night. For two periods, Quinn said he thought the team played “incredibly cute.” That, he said, wasn’t going to get them anywhere in this game. 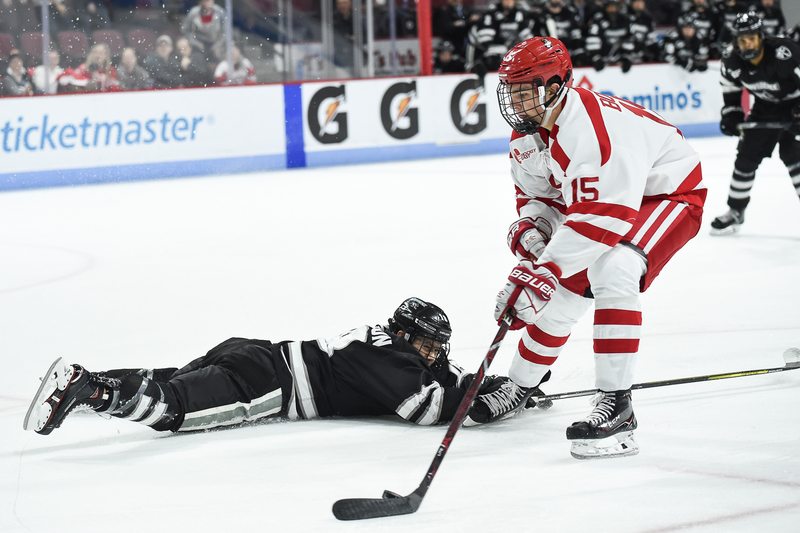 In the third period, though, the Terriers were able to use their speed and take guys wide, O’Regan said, possessing the puck down low to try and create offense. BU took one penalty in the first period as sophomore defenseman John MacLeod went off for tripping, and then the Terriers were sent to the box three times in the second. Two of those three penalties were committed by sophomore defenseman Brandon Hickey, who went off for cross-checking 59 seconds into the frame and then got called for interference at 9:16. Cloonan also sat for two minutes at 13:56 for hooking.